Rehearsals on the multi Olivier Award winning musical Matilda by Dennis Kelly and Tim Minchin are due to begin in New York in January, with Director Matthew Warchus and choreographer Peter Darling starting casting in the autumn. 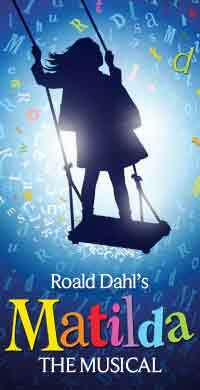 The children playing the Matilda will be American, but the character will remain British with the RSC flying dialect coaches to New York. Unfortunately the intention is for the entire cast to be American which is a shame as award winning Bertie Carvel, who is superb as horrible headmistress Miss Trunchbull in London, deserves to play the role in New York. Hopefully as an Olivier-award winning actor he might be given special status by Actors’ Equity Association to perform on Broadway.